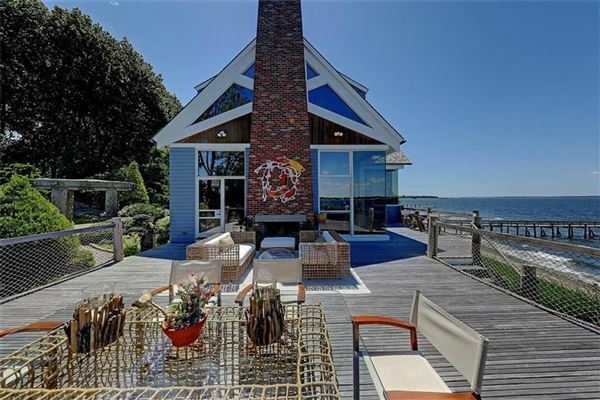 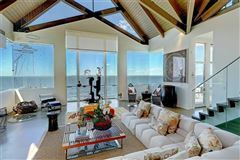 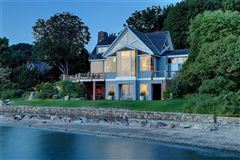 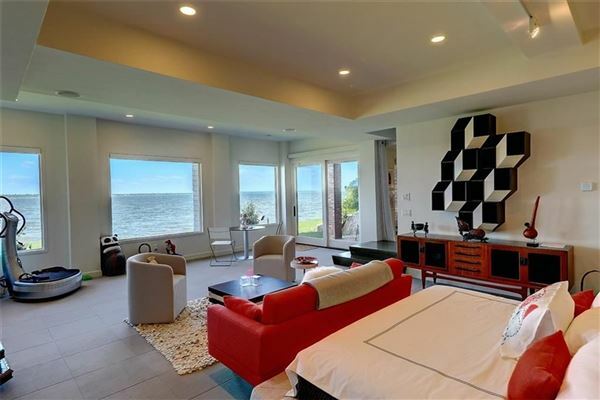 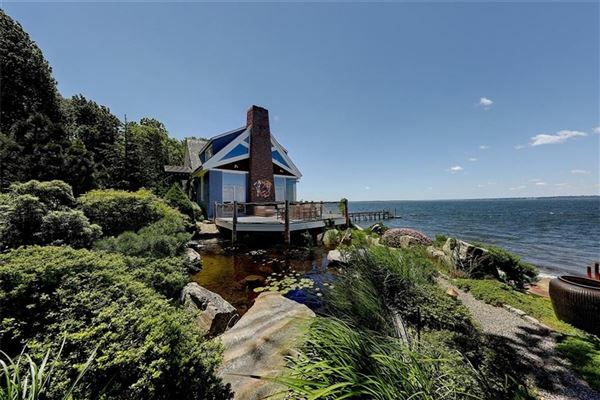 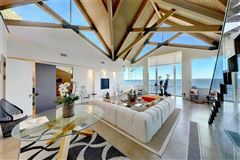 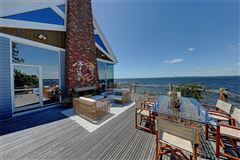 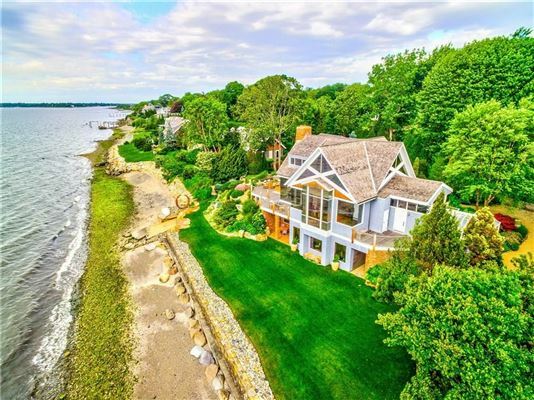 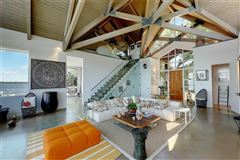 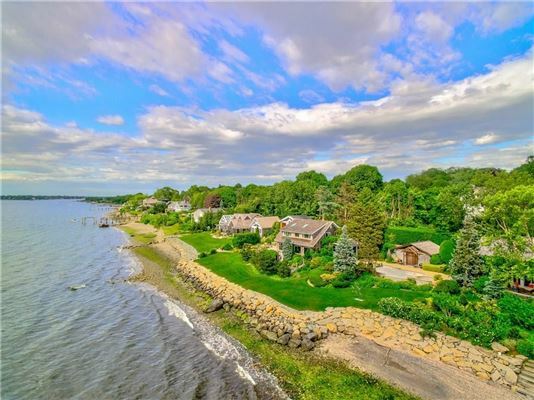 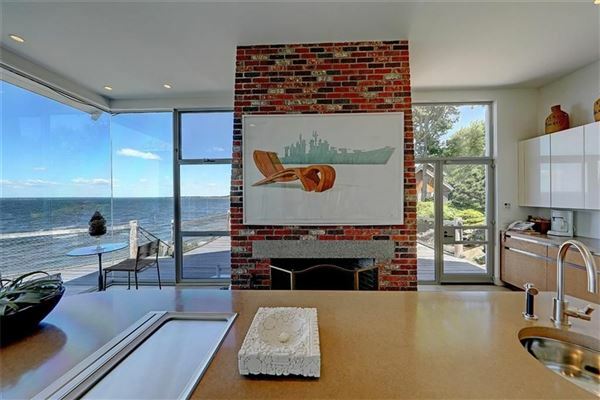 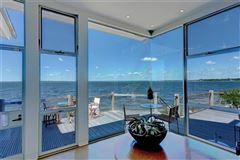 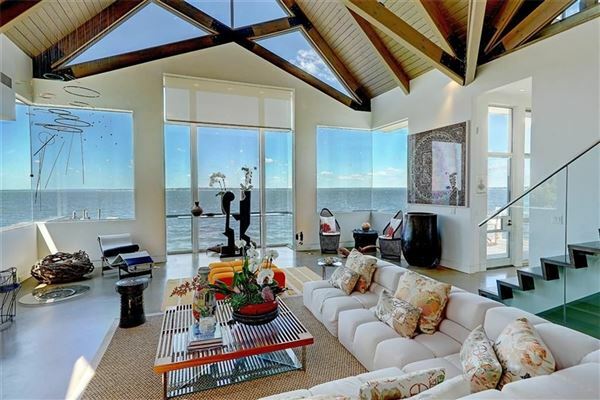 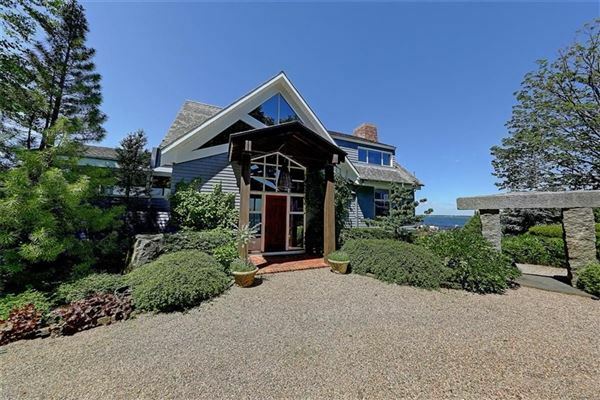 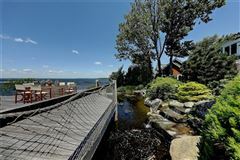 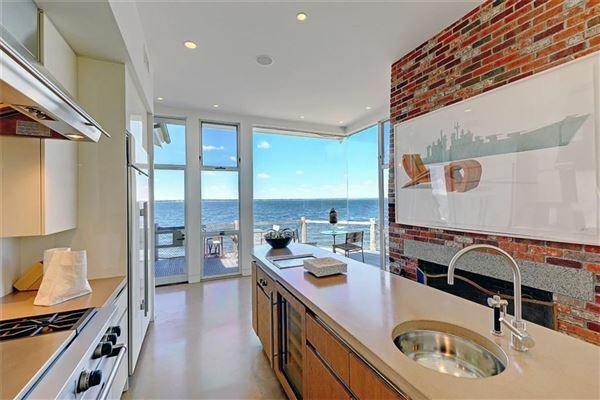 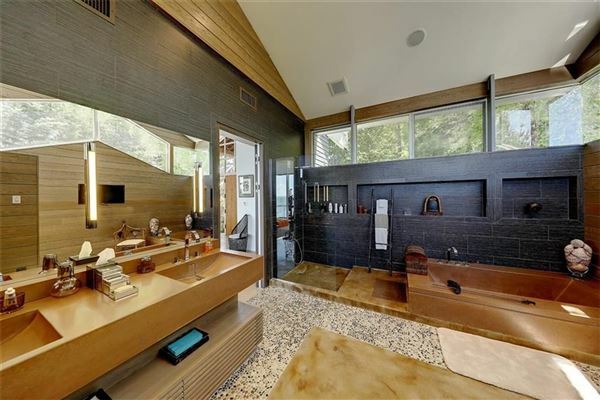 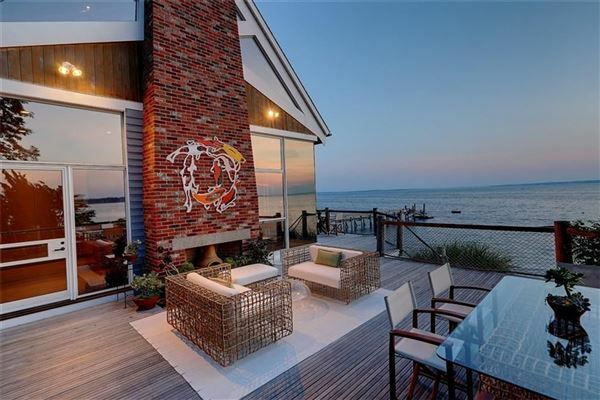 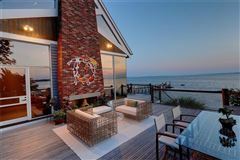 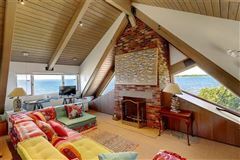 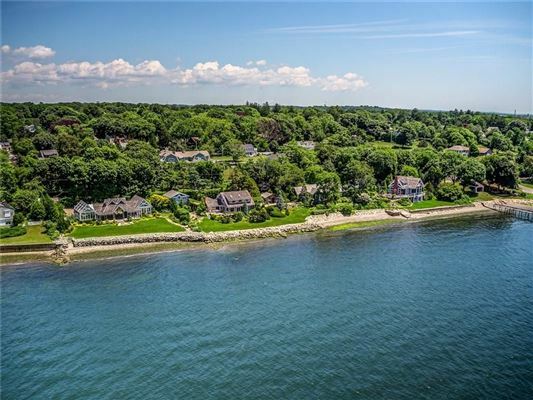 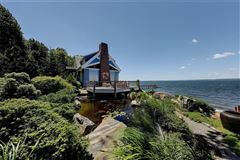 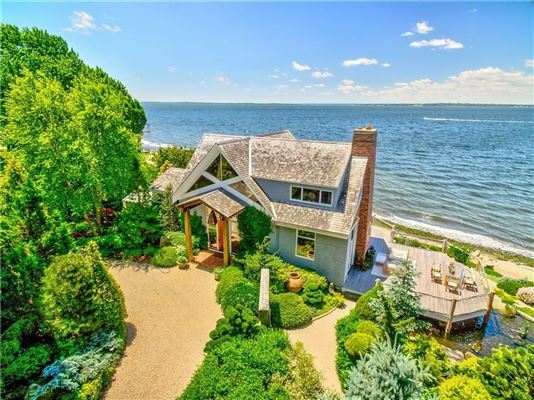 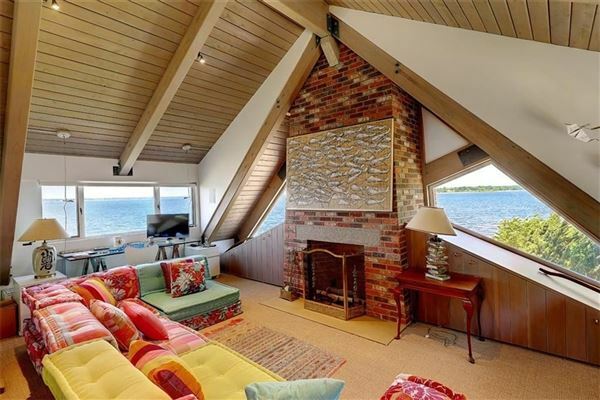 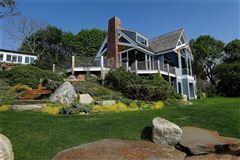 “The Glass House" - a stunning waterfront contemporary offering a two-story height great room with a wall of windows overlooking lawns to a seawall and water's edge. 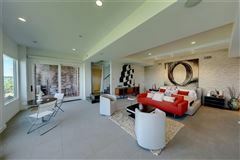 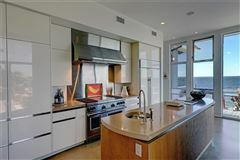 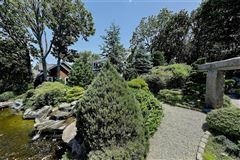 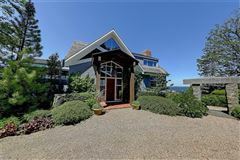 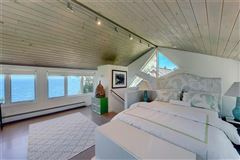 This property boasts a "state-of-the-art" kitchen with fireplace, Fisher & Paykel dishwashers, Sub-Zero refrigerator, Wolf range with dual ovens, island with bar sink, wine cooler and warming counter, and concrete counters. 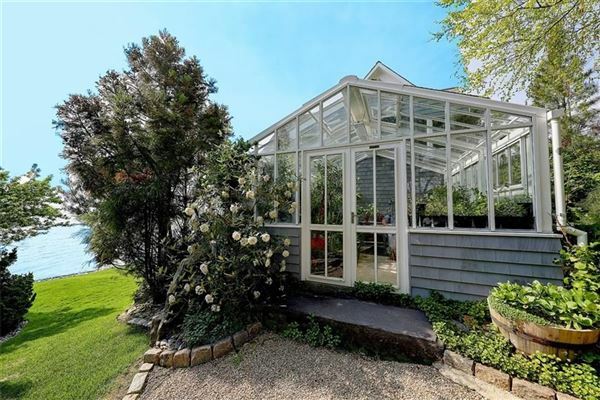 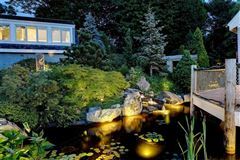 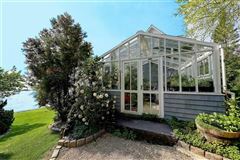 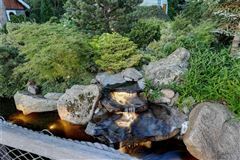 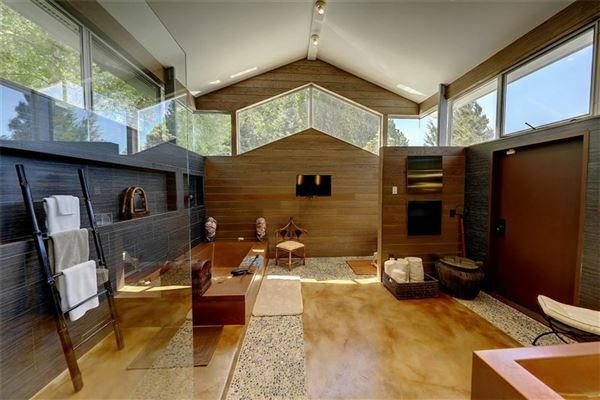 There are guest quarters in the detached garage, a koi pond with waterfall, deck with exterior fireplace, and attached greenhouse. 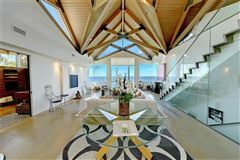 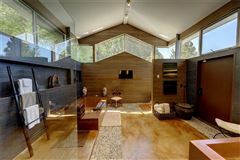 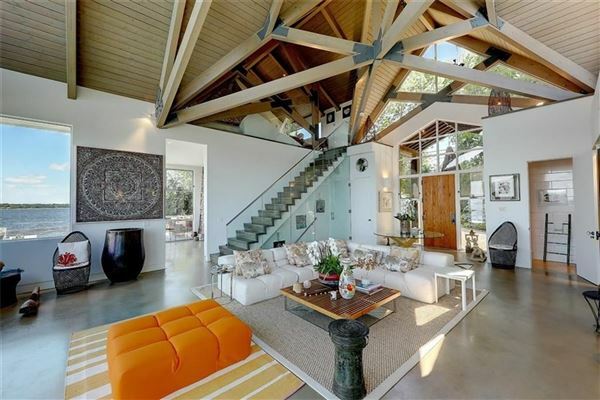 This is a fabulous house for entertaining! 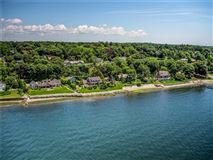 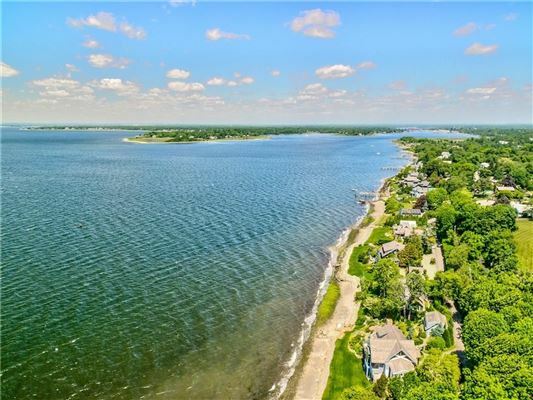 Plus, as a member of the optional Highlands Association, you have access to the tennis court, dock, beach, clubhouse, at the bike path is at your doorstep.